The first 2 weeks of December are gone and you thought SMSC was as well. But it's back, and you have up to Christmas day to upload your picture of a Bus Station. This mountain is a great tourist atraction, due to a ski resort and an old abbey. But it is a national park, so autorithies usually close the road to cars. There is a bus route to help people to arrive to the mountain. This route starts in the riverside, where you can park your car. The bus stops at the abbey, cross the old stone bridge and finish the route at the ski resort. Also, near the bus station is another interesting place: the old castle. 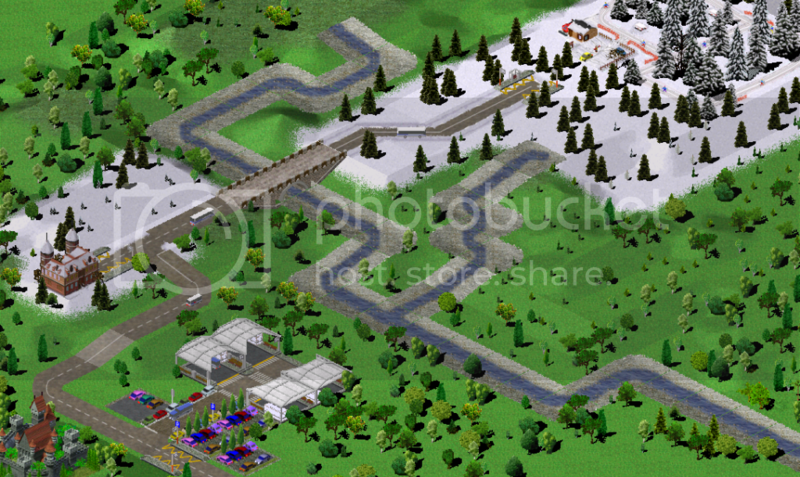 This screenshot is a created scenario from pak 128 with Spanish Addons (all the coaches). Some of these addons are already avalaibles at The Simutrans Boxroom. Others will be included in the new set soon.